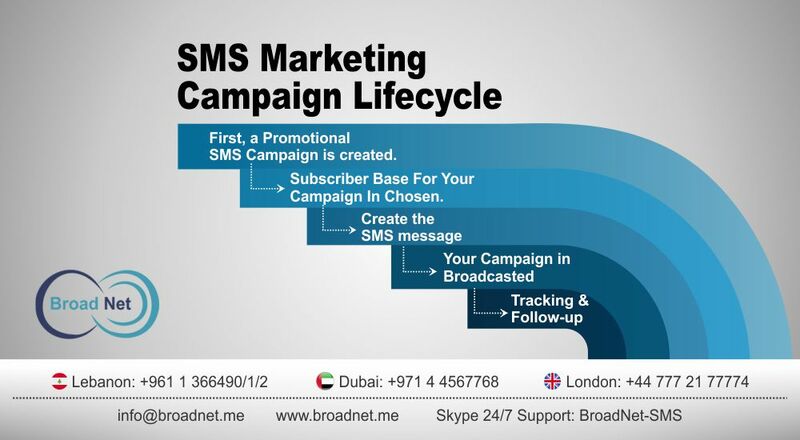 BroadNet provides cross-sector SMS marketing and Bulk Messaging Services that yield targeted results. Our experts have an exact understanding of how the entire SMS Marketing Campaign Lifecycle works. First, a Promotional SMS Campaign is created. The first process in creating a successful campaign is finalising the campaign details. Numerous factors come into play here depending on the business objectives. Now, a subscriber base for your campaign in chosen. This is essentially setting up the targeting for your campaign. Choose that part of your subscriber base that best fit the profile for your campaign. Variables like area, age, gender, interests, etc. will determine the final shortlisted database. Next, you create the SMS message that will be sent out. You define what you want to send out to your subscribers. Brands usually offer promo codes and introductory offers for intensive tracking. Everything is automated. You specify the date and time for the campaign to start. All subscribers in your selected database will receive the message. Conversions need to be tracked and nurtured further. Negative responses can be followed with survey questions or more offers that might bridge the gap further between you and your subscribers. At Broadnet, our state-of-the-art mobile platform offers a direct real-time experience for our users. With our SMS marketing platforms, you can send and receive SMS, house contacts, stay up to date on business campaigns and generate data reports that yield actionable results and conclusions. According to DMM UK, 5.1 billion out of the 6.8 billion people on Earth own a mobile phone - that's a huge market. Don’t miss out on it.